Home / Articles / Yemen ceasefire: What Chance for Peace? 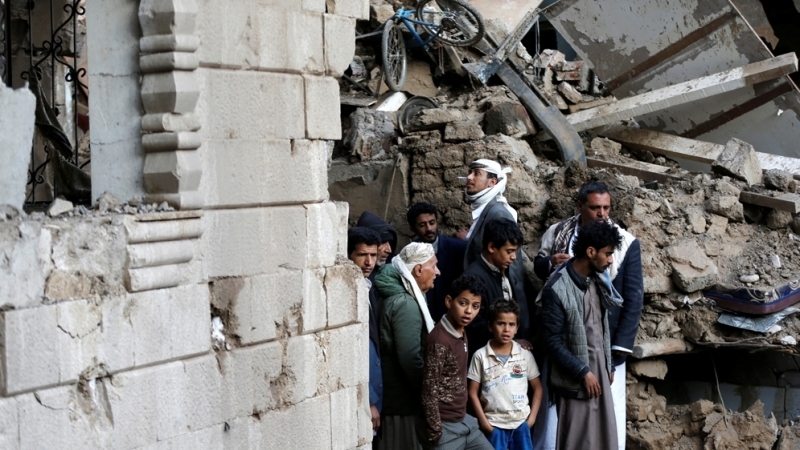 Yemen ceasefire: What Chance for Peace? One of the main impediments in the way of peace in Yemen since the beginning of the Saudi-led invasion in March 2015 has been the difficulty of arranging diplomatic negotiations between the two sides. Not because Ansarullah, or the National Salvation Government in Sana‘a was averse to the idea of speaking to the rulers of Saudi Arabia or the United Arab Emirates (UAE), despite the two countries being responsible for causing the biggest humanitarian catastrophe in living memory. The issue was quite simply that Yemeni negotiators, at least those not on the Saudi payroll, were often completely unable to leave the country in order to attend any diplomatic summit in the first place. From detaining Yemeni diplomats for months on end in the East African country of Djibouti, to deliberately refusing to grant safe passage guarantees to a chartered Omani plane carrying negotiators from Sana‘a who were trying to get to the Geneva talks in September 2018, the Saudi-led invaders have tried everything they could to make negotiations impossible. It is only thanks to the endless patience and tenacity of the Yemeni people, the dedication to peace voiced over and over again by leaders such as Sayyid ‘Abd al-Malik al-Huthi and President Mahdi al-Mashat, and the admittedly praiseworthy work of UN envoy to Yemen Martin Griffiths, that finally real peace negotiations were able to take place in Sweden, in December of 2018. These negotiations eventually bore fruit: an agreement was signed the same month for a full ceasefire in Hodaydah, the establishment of humanitarian corridors to the suffering people of Yemen, and the deployment of UN observers to safeguard the region. 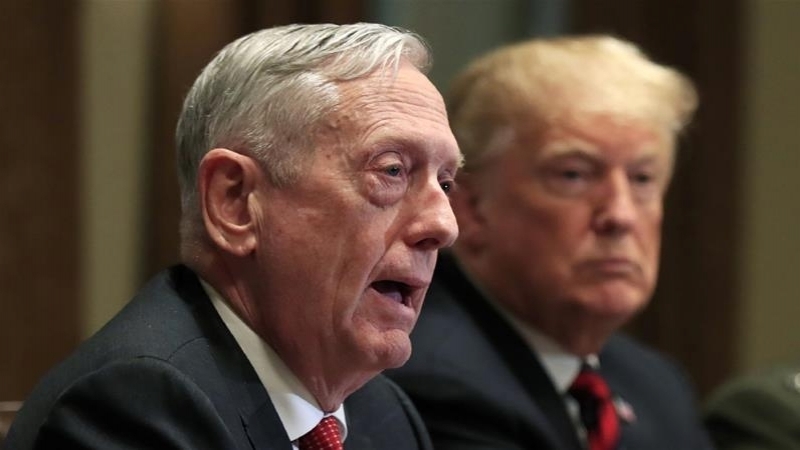 Furthermore, a “political framework” was set up that was to be discussed in a new round of negotiations in January 2019 (this new round had not yet started at the time of writing, although Jordan has expressed interest in hosting the summit). However, the question that must be asked, and particularly in the case of Saudi Arabia: is the agreement being respected? On December 18, Brigadier General Yahya Sari‘, official spokesperson of the Yemeni Armed Forces, announced that the troops would stand down and respect a total ceasefire in and around Hodaydah. This was followed in early January by a proposal by Muhammad ‘Alial-Huthi for the withdrawal and redeployment of all armed forces. By December 31, Yemeni forces had withdrawn in accordance with the ceasefire deal, and even handed over control of the port of Hodaydah to the UN-appointed Head of Monitoring Mission, a retired Dutch general, Patrick Cammaert. None of this has apparently stopped the bloodshed. The Saudis have reportedly ignored al-Huthi’s proposal for withdrawal and violence has continued in Hodaydah. On December 30, it was reported that Saudi-backed forces carried out no fewer than 36 raids. Further, 28 artillery shells were fired at Hodaydah in a matter of a single day. From January 9–13, the number of shells and missiles launched reached 405; and on January 17, General Sari‘ reported that Saudi forces had fired 329 explosives during the previous three days. At the same time, invading forces from the UAE started building fortifications and ramparts, indicating that they are preparing for new battles in the future. Not only is this a violation of the spirit of the ceasefire, it also clearly proves that the Emiratis are not planning to withdraw or redeploy their forces as they agreed to in Sweden. 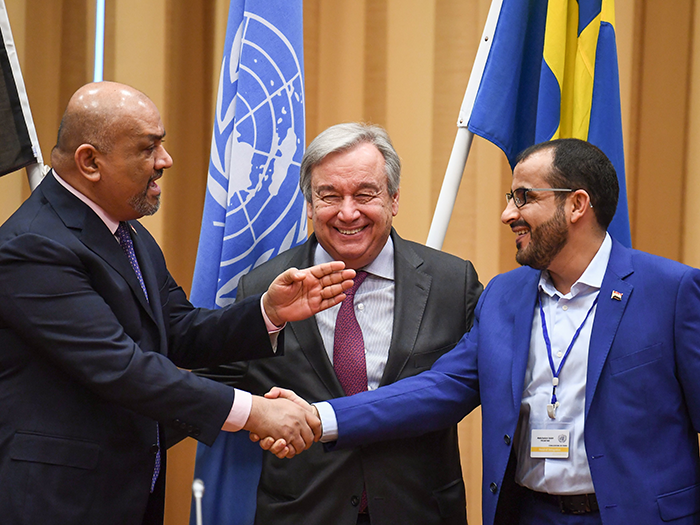 Saudi/American proxy, Yemeni Foreign Minister Khalid al-Yamani, (left) and head negotiator for the legitimate interim government of Yemen, Muhammad ‘Abd al-Salam (right) shake hands under the eyes of UN Secretary-General António Guterres, during peace talks at Johannesberg Castle in Rimbo, Sweden. The ceasefire agreement, however, only applies to the port of Hodaydah, which all subsequent indications suggest is not being honored by the aggressors (UAE, Saudi Arabia, and by extension the US), who continue to shell not only Hodaydah, in open violation of the ceasefire, but the rest of the country. The collapsed economy and the extended disruption to food and fuel supplies coming through the main port at Hodaydah could have had devastating consequences for the most vulnerable. An extra one million children now risk falling into famine, bringing the total to 5.2 million. 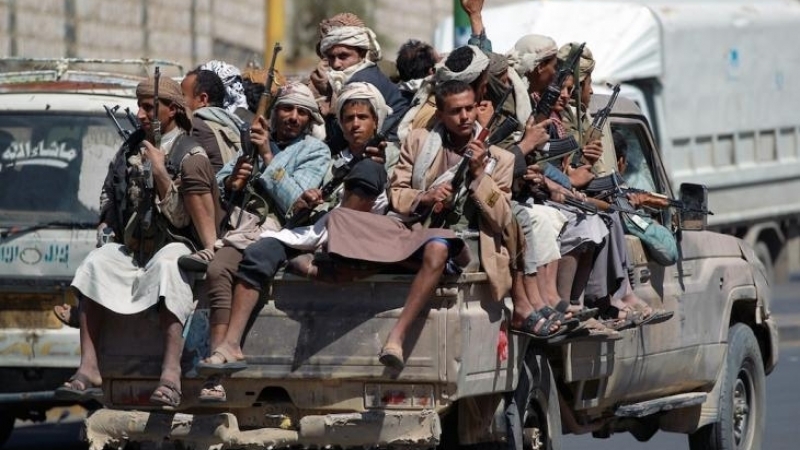 The invaders have also leveled unfounded allegations against Ansarullah and the National Salvation Government, even going as far as to accuse them of blocking humanitarian aid from entering the Hodaydah port. This accusation is made despite the fact that it was the government in Sana‘a that for years has pleaded to have the Hodaydah port accessible to much-needed aid. Meanwhile, the UN-appointed retired General Cammaert, who was supposed to ensure that the agreement signed in Sweden is adhered to fully, has lost the trust of the Yemeni people. On January 13, Yemen’s chief negotiator Muhammad ‘Abd al-Salam accused the UN officer of “deviating from the Agreement” in response to the general’s inability to keep the aggression forces in check and prevent further bloodshed in and around Hodaydah. Even the humanitarian corridor system has been barely effective. While some increase in flow of goods to the Hodaydah port and from there to the hinterland of Yemen has occurred, there is still too little improvement for the starving and suffering inhabitants, particularly those of northern Yemen. The UN Monitoring Mission has been unable to prevent attacks taking place in territories that nominally fall under the humanitarian corridor, making the delivery of goods that arrive in Hodaydah to other parts of the country very difficult. When the agreements were signed, the National Salvation Government proposed opening a safe road from the Red Sea wheat mills in Hodaydah to Sana‘a, in order to alleviate the suffering of the people there. In a shock decision on January 3, Saudi representatives rejected the proposal and refused to guarantee safe passage to the wheat delivery transports. And on January 11, UN Humanitarian Coordinator for Yemen, Lise Grande, visited Hodaydah and called for urgent measures to ensure safe transportation of aid, showcasing that even weeks after the agreement was signed in Sweden, the corridors remained largely ineffective. Last but not least, the UAE and Saudi regimes have refused the exchange of prisoners as agreed to earlier. 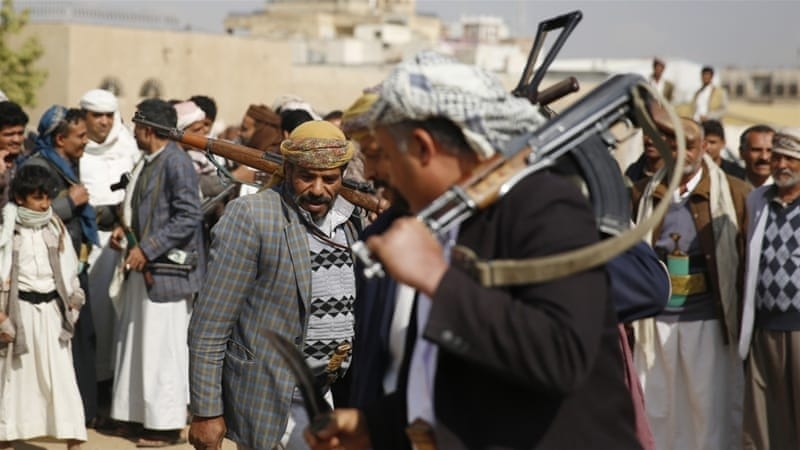 While Riyadh released a list of prisoners they are willing to release, hundreds of names of Yemeni troops and civilians who were reportedly taken prisoner were not on the list. The Saudi regime refused to even acknowledge that they hold them prisoner. The ceasefire that was signed amid high hopes and expectations in Sweden has so far failed to deliver most of its promises. The fault lies entirely with the invading coalition. It is important to remember that the ceasefire, even with all the violations by the Saudi-led invaders, only applies to Hodaydah and its surroundings. 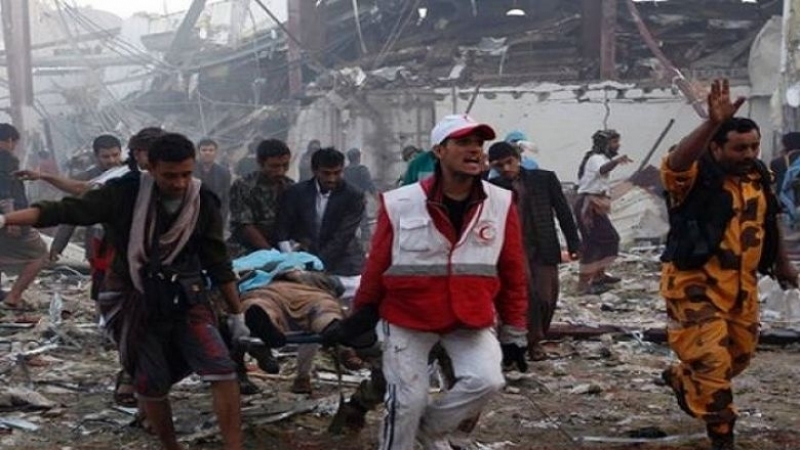 The rest of Yemen is still subject to the most horrific crimes perpetrated by the aggressors. From the use of illegal chemical weapons in Sa‘ada leading to fetal deaths and horrible congenital deformity to the expulsion of the tribes of Mahrah in order to make room for a planned Saudi oil pipeline to the coastline, all of Yemen is feeling the jackboot of imperialist aggression just as harshly as ever. Until the international community gets serious about ensuring the Saudis abide by humanitarian law, the UN mission in Yemen strictly enforces the agreement on the Saudis and Emiratis, Western powers finally cut weapons exports and their continued support to both the Saudis and the Emiratis, the chances for a negotiated peace in Yemen remain extremely slim. Brecht Jonkers specialises in the history of the Muslim East.